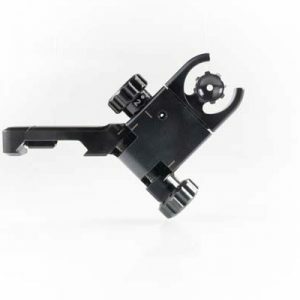 The C4 Offset Folding Front Sight from Ultradyne brings our outstanding dual aperture sight system to you in a 45 degree offset mount. 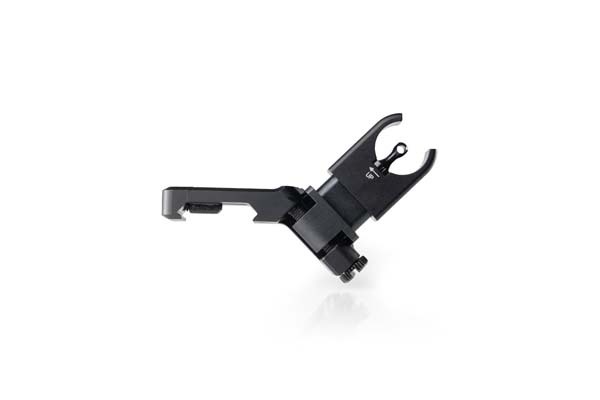 Run your competitions knowing that you have the best iron sights on the market backing you up! 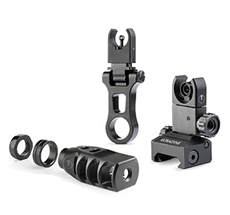 Aperture sight systems have been around for decades, but until now, they haven’t been fully optimized for the AR15 platform. 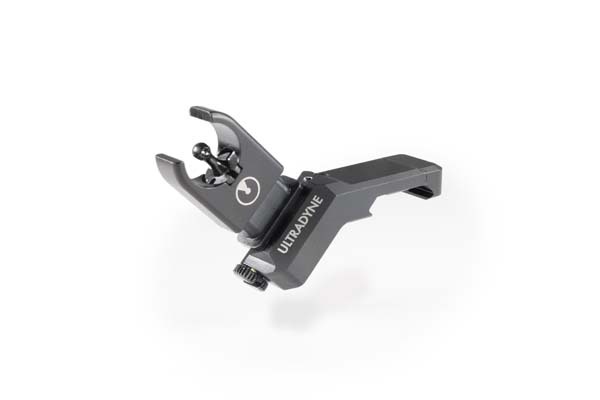 The Ultradyne C4 Offset Front and Rear sight system harnesses the power of a dual aperture system to bring you what many are calling the best iron sights on the market. 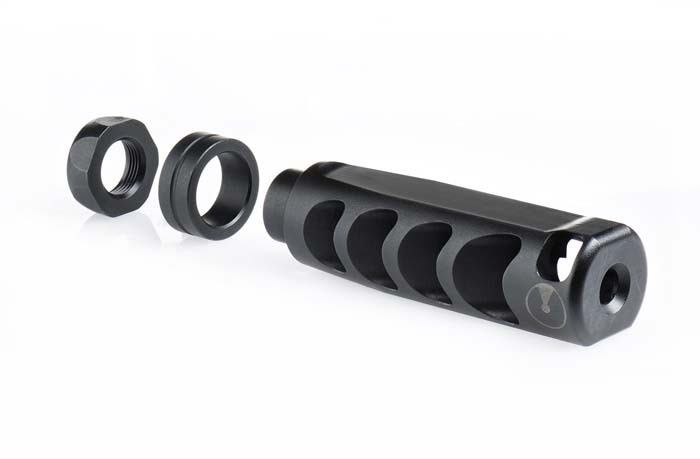 A dual aperture system allows you to acquire your target faster, see your target more clearly, and shoot at longer distances. 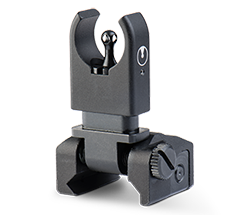 With the C4 sight system, all zeroing adjustments (windage and elevation) are done on the front sight. 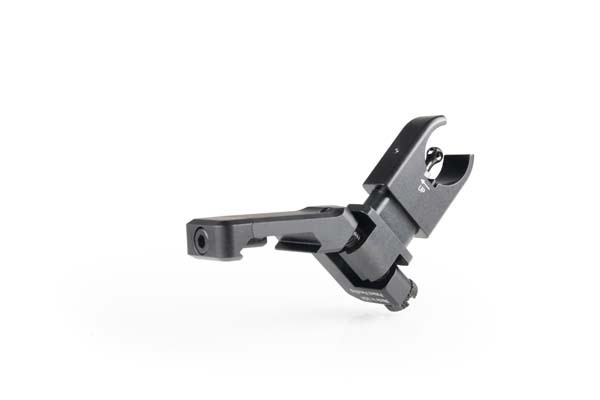 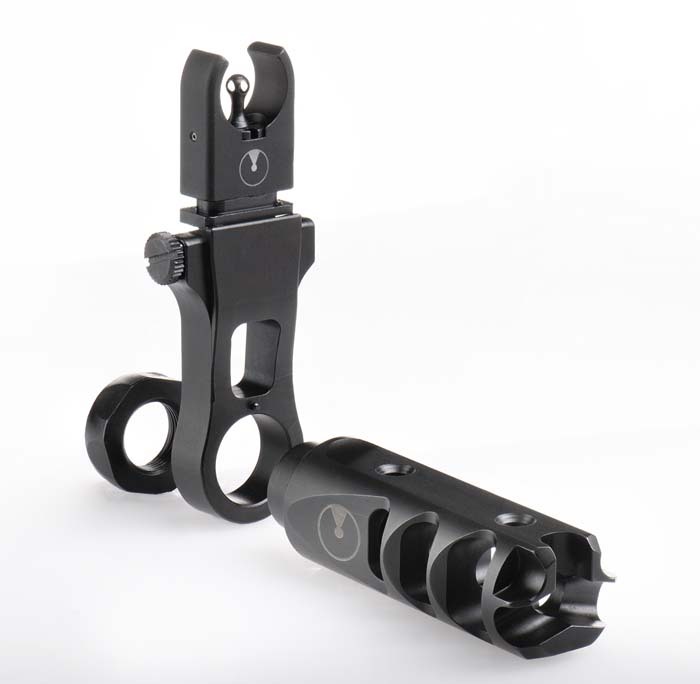 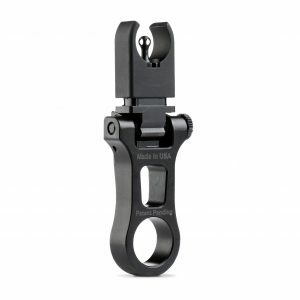 This allows full use of windage on the rear sight, should you need it. 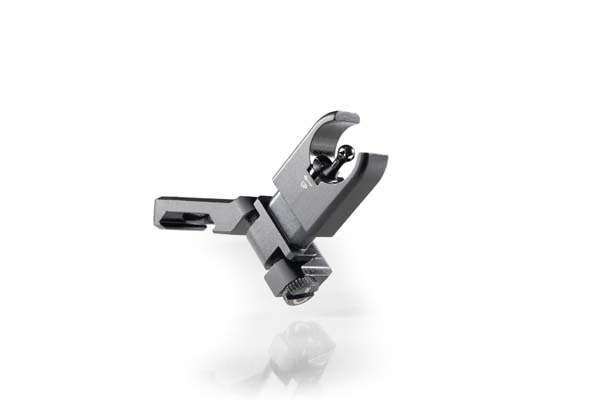 Rugged and Intuitive design make these sights more than capable of backing up your high end optic. 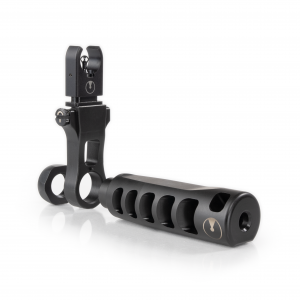 With 9 different elevation settings and simple tool-less adjustment, you will be amazed at how well you are able to shoot in close quarters and at distance with iron sights. 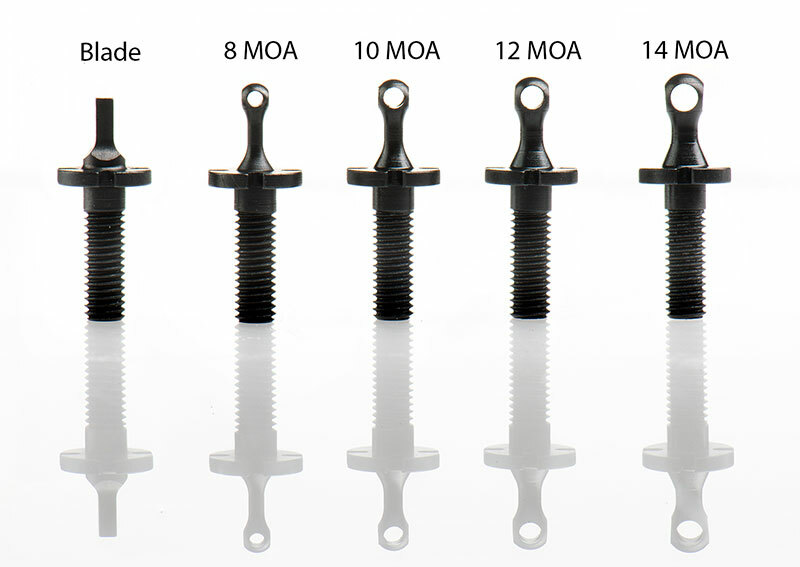 Choose from traditional post or multiple Dynalign front apertures.